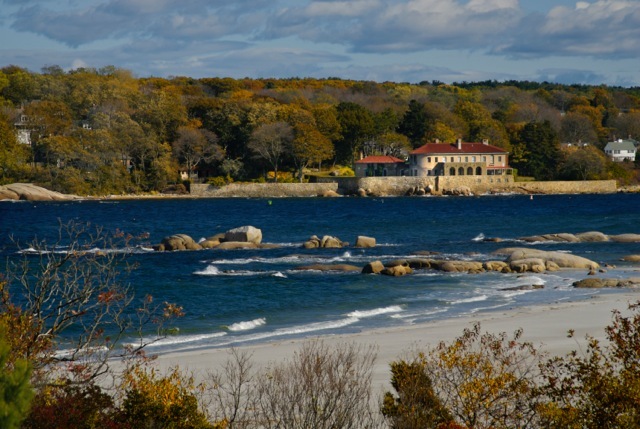 Sold June 2013 – We have assisted with the sales and marketing of 2R Cambridge Avenue in Gloucester, MA We have assisted in the sale and marketing of this well known Landmark property located in Gloucester. You may recognize this memorable and spectacular property that can be seen from Wingaersheek Beach and the Annisquam River. 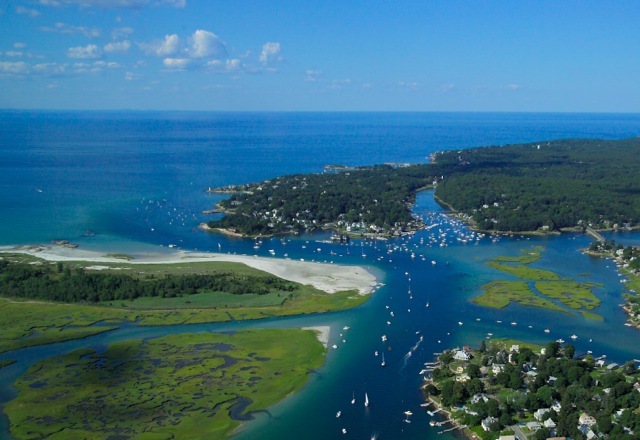 It is located on the tip of the Annisquam village peninsula and has remarkable views of the river, beaches, Ipswich Bay and the Atlantic Ocean. 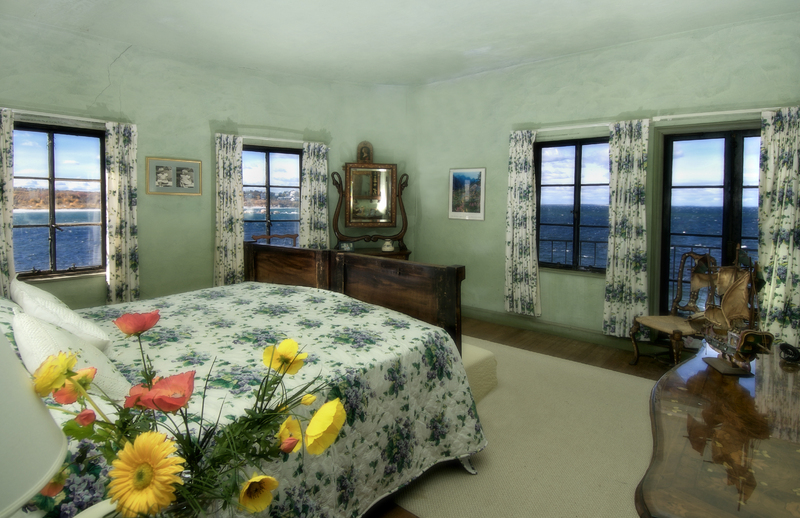 “Quattro Venti”, which means Four Winds, is a waterfront Tuscan style villa on 1.2 acres. 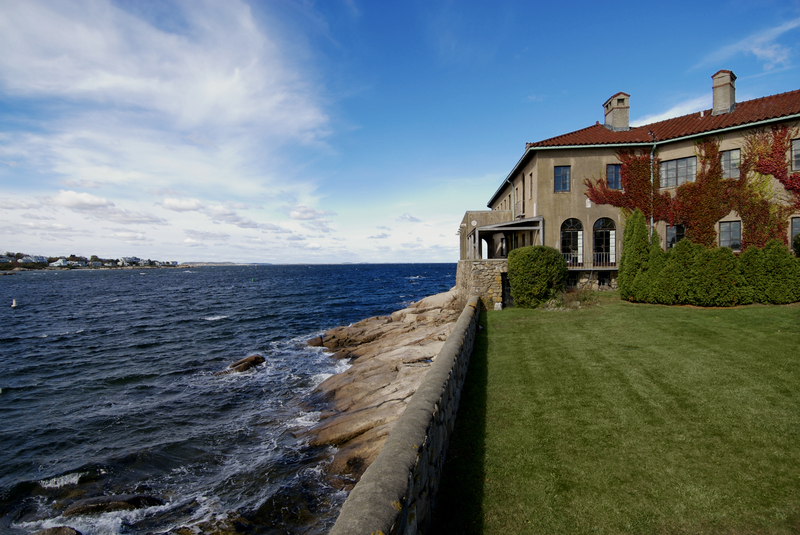 The house is at the water’s edge and has many 12 foot french doors that open onto a loggia right at the sea wall. It is a stucco home with a red tiled roof. 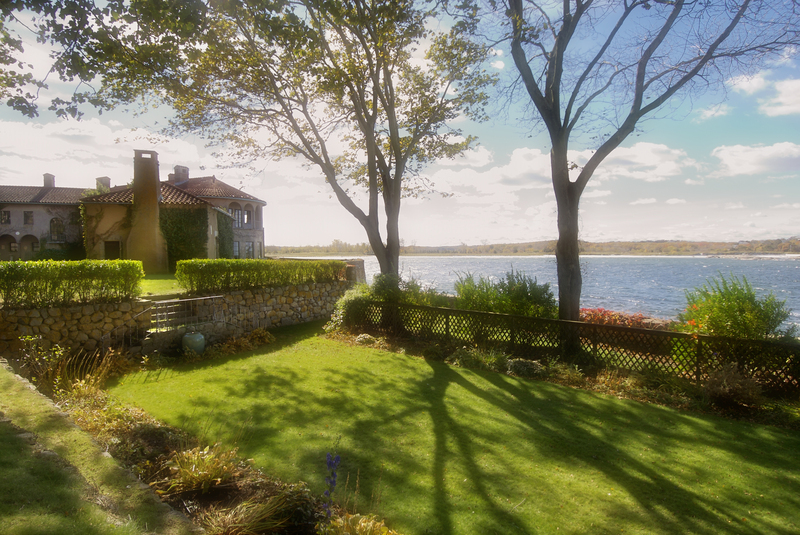 The exterior garden spaces include a seaside sunken garden. The interior is remarkable and grand. 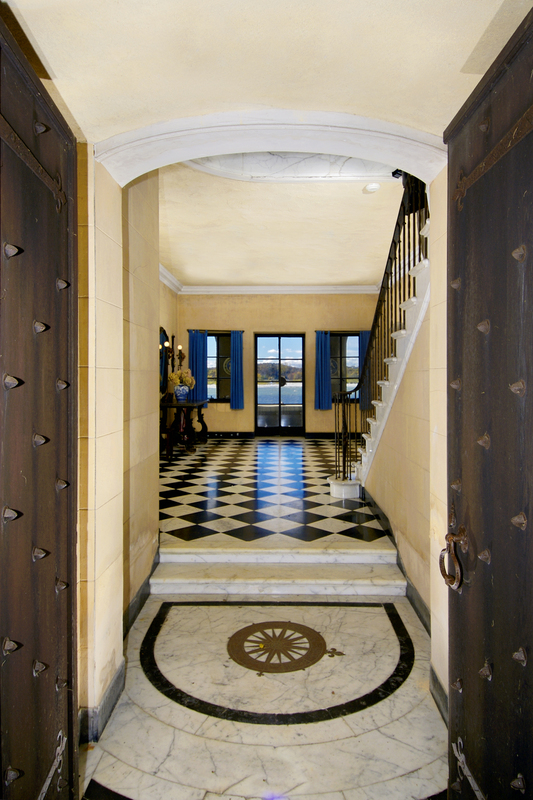 The dramatic foyer is graced with limestone and Italian marble and immediately opens to the ocean, formal dining room and magnificent living room. There are eight fireplaces in the the house and the detail throughout is stunning. 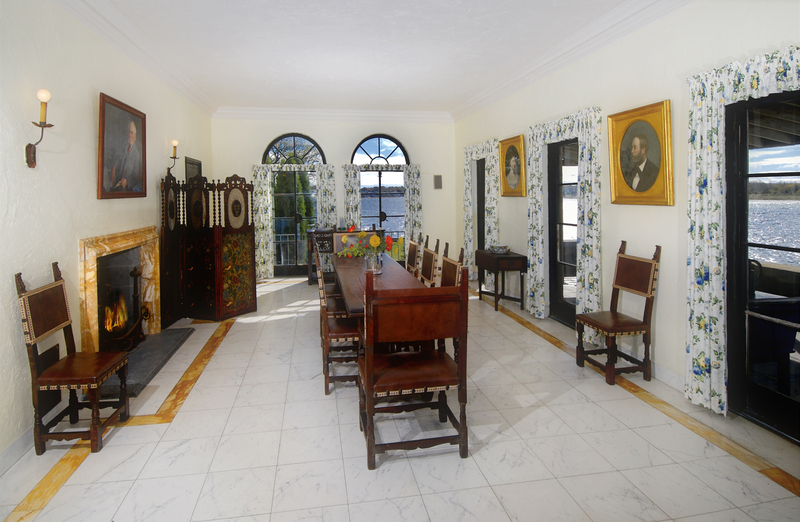 This is a home that brings you pleasurably back in time. The 15 room mansion was built in 1914. It has about 8,800 square feet of living space. There are 15 rooms, 7 bedrooms and 8.5 bathrooms. The new owners are planning an extensive renovation. They are working closely with local contractors and plan to preserve as much of the architectural details and original design features as they can.